Home THE JOURNAL Curious About Retinol? Acne or acne scarring? Fine lines and wrinkles? Skin discolouration? Retinol effectively addresses all of these promoting cellular turnover. 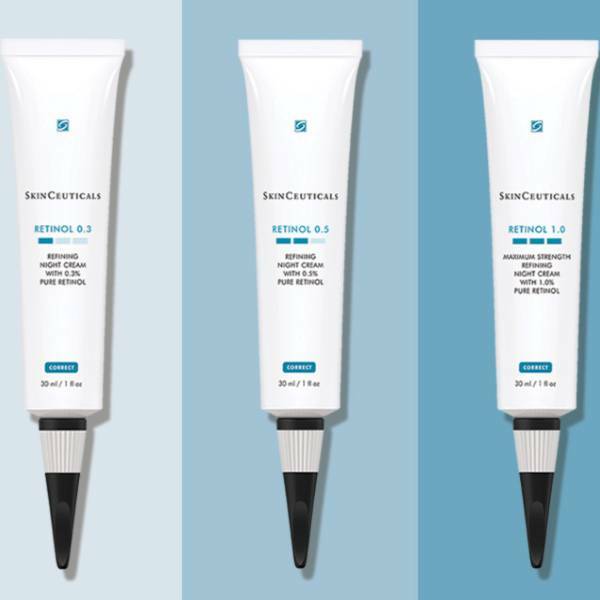 SkinCeuticals Retinol 0.3 contains a lower concentration than most formulas for a gentle introduction to this active ingredient. Do not use retinol products if you are pregnant, lactating or planning to become pregnant. 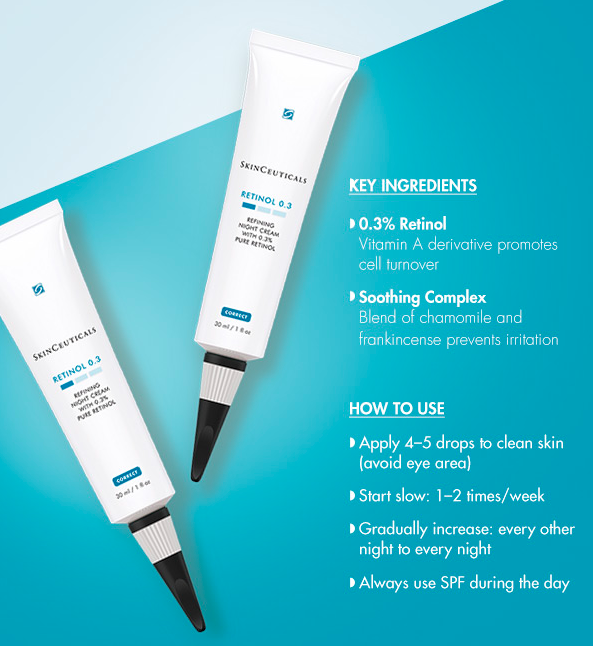 Mild redness, peeling and irritation are expected when using retinol products. Always use sunscreen and limit sun exposure while using retinol products.